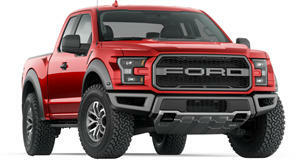 This may be one of the few off-road competitions where the Raptor is the underdog. Coverage of the new Ford F-150 Raptor has been extensive given how well the previous rendition of Ford’s ultimate truck was received, however the Ariel Nomad is a bit more ambiguous than its off-roading counterpart. As a niche off-roading toy from the UK automaker better known for its track cars, we only get rare glimpses of the Nomad, with brief appearances in the past with Rory Reid as the driver. Regardless of how cool it looks, we're more curious about how it stacks up against other proven off roaders.